Help frog friends survive a perilous pond! Jumbo Inflatable pond toss game. 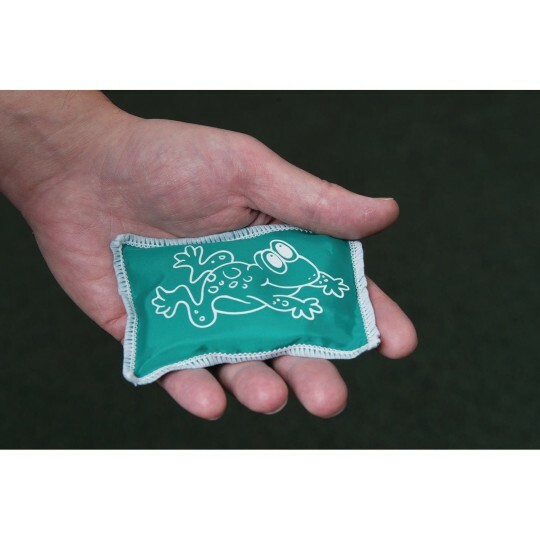 Toss and safely land frog beanbags into targets. Just make sure they're flies not alligators! Tossing fun for players of all ages. Ponds are pretty, but not always peaceful. Help your frog friends survive these perilous pond waters! 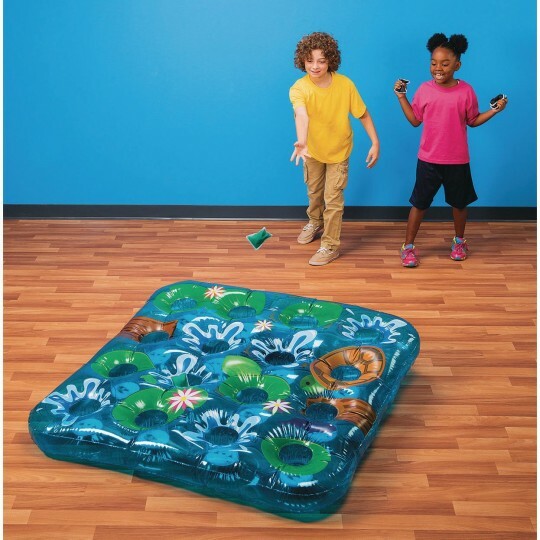 This jumbo Inflatable pond toss game has players of all ages trying to keep their frog beanbags alive by tossing and safely landing them into the targets with flies rather than the waiting chops of alligators lurking below! Add point values for successful tosses or simply play for the fun of it. 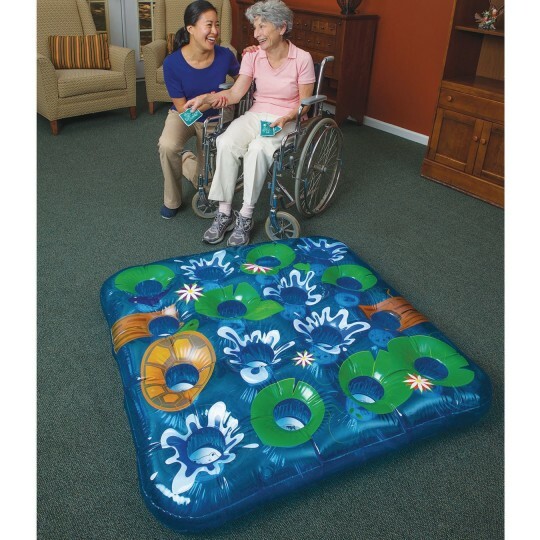 Colorful graphics cover the 50" durable inflatable target, transporting players to the great outdoors. 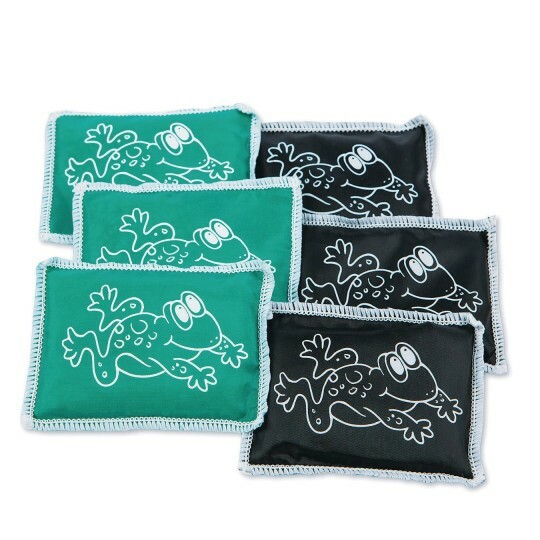 Includes 6 beanbag "frogs."